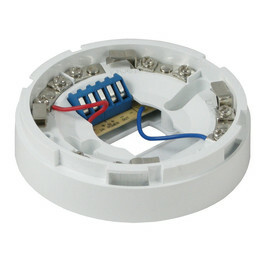 There are 6 different detector bases available for the addressable range of detectors namely, common base, isolator base and addressable relay base. 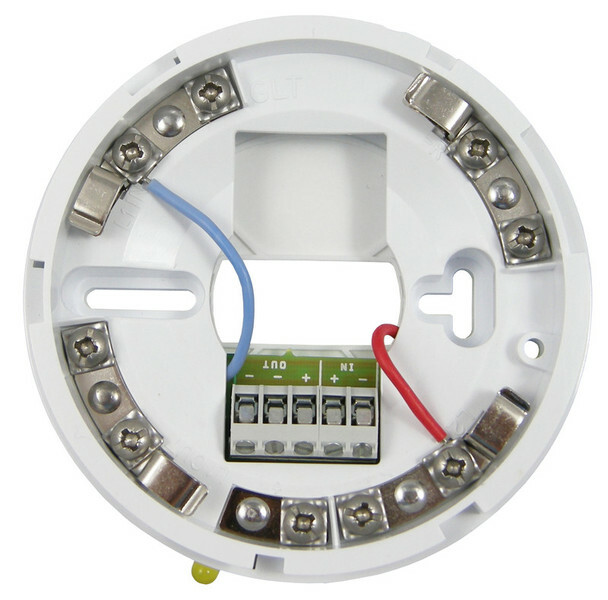 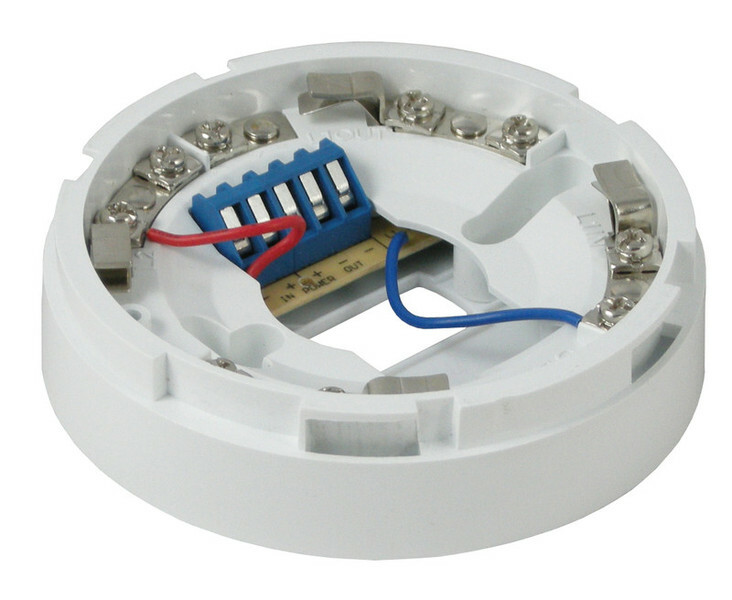 The Isolator base is used to protect the loop against short circuits. They should be used at least every 32 devices, but it is better practice to use them at the end of every zone.